Allied Ophthalmic Personnel, or AOPs, include mid-level eye care workers like vision technicians, ophthalmic assistants, and counselors. AOPs play an essential role at eye hospitals that aim to provide efficient, high-quality, and financially sustainable eye care services. Recognizing the need for hospitals to train AOPs in-house, Seva, Aravind Eye Care System, and the International Council of Ophthalmology started offering Excellence in Eye Care, or Eyexcel, in India in 2008. Eyexcel is an annual five-day immersion workshop for eye hospital leaders. But India is a long way from the Western Hemisphere. So, to further build the capacity of eye hospitals in Latin America, Seva is expanding Eyexcel trainings westward. Starting three years ago, colleagues from two hospitals in Guatemala and Peru travelled to the annual Eyexcel courses in India. Both of these hospitals, Visualiza in Guatemala and Divino Niño Jesus (DNJ) in Peru, are Global Sight Initiative (GSI) mentor institutions. 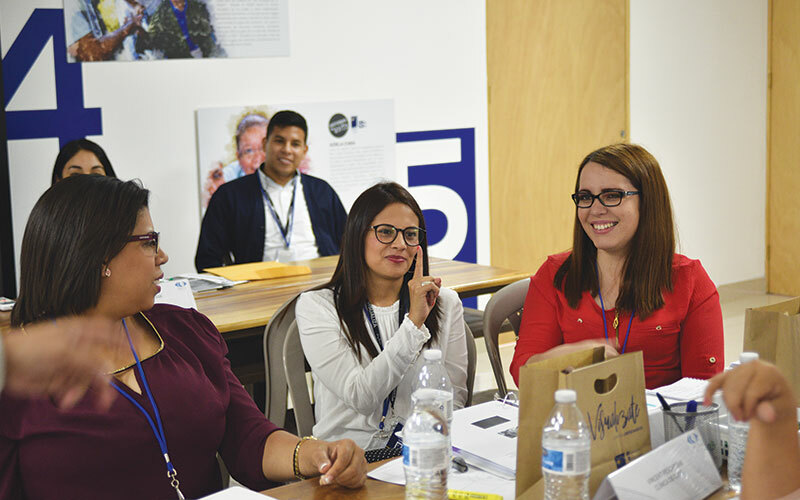 In December of last year, Seva and Aravind held a planning workshop in Guatemala City with Visualiza and DNJ leaders to develop the curriculum for Eyexcel LA (Latin America), followed by dozens of hours of online coaching and other preparation. This three-year effort resulted in a major milestone: The first Eyexcel LA workshop was offered this summer, at Visualiza. The course was conducted entirely in Spanish and was customized to be culturally appropriate. Next year’s workshop is already being planned, to be held at DNJ in Lima, Peru. Attending Eyexcel LA were 23 participants from GSI partner hospitals in Guatemala, Peru, Haiti, Dominican Republic, Nicaragua, Paraguay, Peru, and Mexico. Seva and partners have offered 13 Eyexcel workshops to date, including 11 annual workshops in India, the new Eyexcel LA course, and another new course offered in Nepal. Over the past decade, these workshops have reached more than 400 participants from 143 eye hospitals in 30 countries. 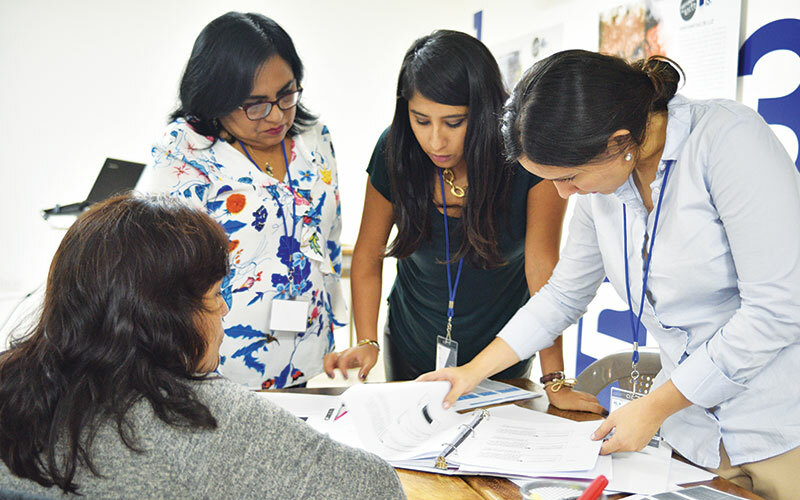 Eyexcel LA is successfully pairing the years of experience developed in India with the culturally-specific needs of Latin American eye health practitioners. Participating eye hospitals are now better equipped to systematically train their AOPs, building their capacity to reach many more patients and provide higher-quality eye care. Above: The first Eyexcel LA workshop was held Guatemala in July. Photo by Javier Eduardo Cozano Corado. Above: Eye hospital leaders from eight countries attended the July Eyexcel LA workshop. Photo by Javier Eduardo Cozano Corado.